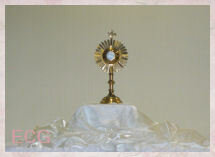 Let us consider the great trial which hovers one day over the little house of Nazareth. Joseph, the just man, whom Jesus, with respect and affection calls His "Father," is dying ... his failing body is sustained int he Arms of Jesus; ...his head reposes on the adorable Heart of Jesus. But Mary is not alone in her grief...Jesus, the King Who received from this just man caresses and bread, earned by the sweat of his brow, also weeps bitterly, and He is a God! Heart of Jesus have pity on the widows and orphans in great distress! But the events of life, the painful duties to be performed are the expression of the Will of the Most High, and it is necessary to obey in faith. Heart of Jesus have pity, have great pity, on children and parents who suffer this agony! Let us consider Jesus on Holy Thursday, bidding farewell to His intimate, faithful friends of Bethany, in order to go voluntarily to death. Those who had given Him the repose of friendship and of intimacy, received His supreme confidence, the revelation of the Golgotha of tomorrow...What must have been the sorrow that overshadowed these souls during this supreme farewell of their unique Friend...the King Friend of Bethany. He left them, saying: "Until tomorrow on Calvary!" 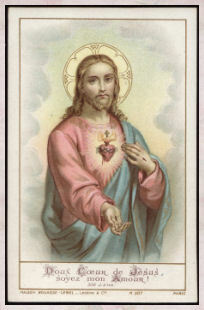 Heart of Jesus, have pity on families and souls, who must submit to this agony of the heart! 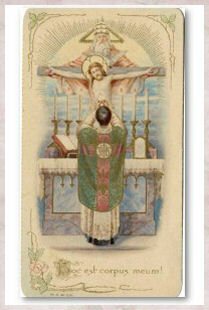 Let us consider Jesus Crucified, making His last farewell to the Queen of Sorrows in the overpowering agony of Calvary! One more glance of infinite tenderness...and to His Mother He confides John, the Church, the world, and His own Heart...and then Jesus inclines His bleeding Head...and...He expires! 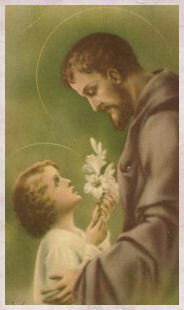 Heart of Jesus, have pity on mothers, on families in sorrow who have suffered or will suffer the pitiless blow of death. On the first Saturday of every month, Catholics are called by the Blessed Mother (as relayed to us through many of her visitations, including Fatima), to honor her. We believe that on Holy Saturday, the eve of Easter, Mary, the mother of Christ, suffered terribly, yet had great faith. 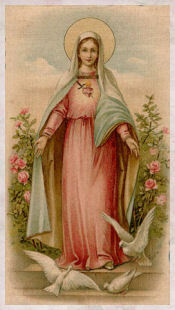 Mary's Immaculate Heart. 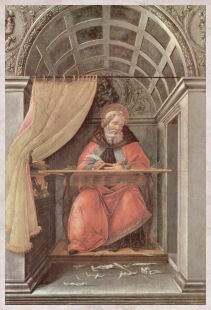 The First Saturdays devotion had already been an established custom in the Catholic Church. In 1905, Pope Pius X approved the devotion and granted indulgences for its practice of the First Saturdays of twelve consecutive months in honor of the Immaculate Conception. 4. Pray the Rosary with a minimum of 15 minutes spent in the company of Mary while properly meditating on the mysteries of the Rosary (which represent Christ's life). One or more decades of the Rosary can be said. Our Lady promises us that she will be present to those who keep her company. 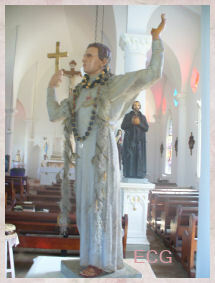 All of these spiritual elements of the five "First Saturday" devotions are unique in that the primary intention within the hearts of devotees is to repair the damages caused to her for blasphemies and offenses against her, her name and her holy initiatives. 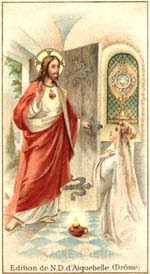 "Look, my daughter, at my Heart encircled by these thorns with which men pierce it at every moment by their blasphemies and ingratitude. 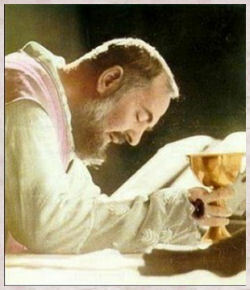 You, at least, strive to console me, and so I announce: I promise to assist at the hour of death with the grace necessary for salvation all those who, with the intention of making reparation to me, will, on the first Saturday of five consecutive months, go to confession, receive Holy Communion, say five decades of the beads, and keep me company for fifteen minutes while meditating on the fifteen mysteries of the Rosary." "You have seen hell where the souls of poor sinners go. 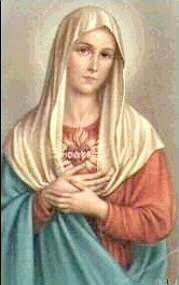 To save them, God wishes to establish in the world devotion to my Immaculate Heart. 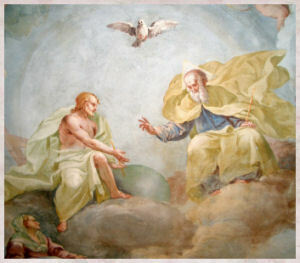 If what I say to you is done, many souls will be saved and there will be peace... 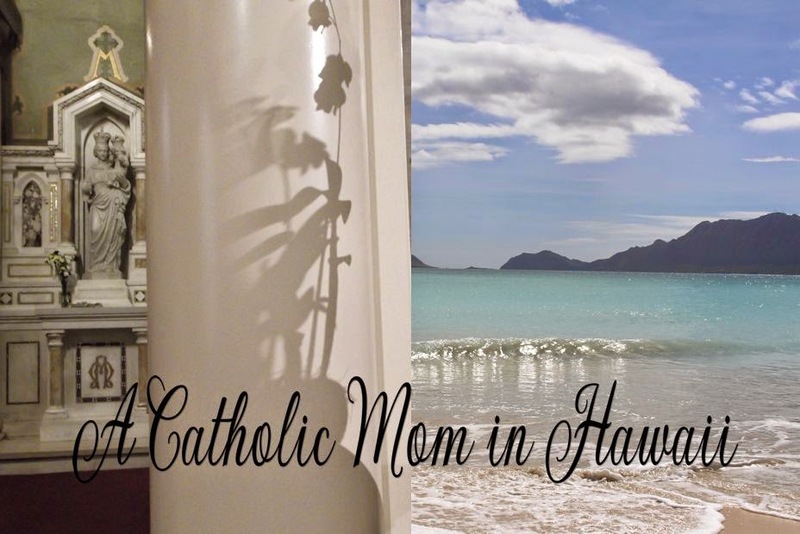 I shall come to ask for... the Communion of reparation on the first Saturdays..."
Read the rest over at Our Beautiful Catholic Faith Thank you Roz! 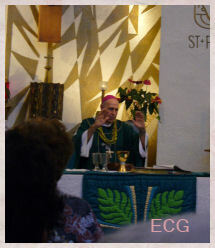 The following is from Easter at A Tribute to Our Priests and Father John Speekman. Please click on Catholic Clergy to read the rest of the article. I have been encouraged by our dear priest from Australia, Fr. John Speekman, to post this. Please read his letter below and post the event on your blogs. Do send me an email at easter4g@yahoo.com so I can forward to you the graphics. 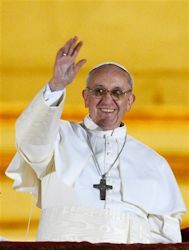 Please also send the information to your bishops, vicars for clergy, all priests, and deacons you know. Much mahalo. God bless you all abundantly! 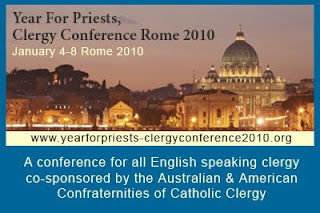 I have been asked to advertise the Year of the Priest Clergy Conference for English-speaking priests in Rome in 2010 so I've had some graphics of varying sizes produced hoping one of them might find an appropriate place on your site. You might put a banner at the top of your blog or something in the column, it's up to you. It is important that those who read the ad are directed to the official website: here either by clicking on the graphic or on a link beneath it. By the way, if you want to send this email on to other bloggers .. do it! Again, I would be most grateful. If possible please post on your own blogs and spread the word. Mahalo! My New Favorite Soaps....and Nuns! I had been meaning to buy from the Dominican Nuns in New Jersey for a long time now. I finally did place an order the other day. In the interim time it took my order to arrive I was emailing chatting with one of the nuns. Well to make a long story short, I love the soaps (Basil Citrus), love the room freshener (Lavender), love the service and love these nuns!! Thanks so much Sister D! It was a pleasure. I am placing their site banner on the side bar. Civic virtues are personal habits and attitudes that are conducive to social harmony and group well-being. The identification of the character traits that constitute civic virtue has been a major concern of political philosophy. The term civility refers to behaviour between persons and groups that conforms to a social mode (that is, in accordance with the civil society), as itself being a foundational principle of society and law. Bad manners are not only annoying, they really do have an affect on other people. - A driver blasting his music so loudly even though his windows are closed the bass sound carries and disturbs the people around him. - A neighbor who runs his weed wacker on an early Saturday or Sunday morning while his neighbors are still asleep. - Healthy young people sitting on a crowded bus while an elderly person or pregnant lady has to stand. - Being met with a rude cashier on the checkout line. - A person talking very loudly on the cell phone in a public place. - No salutation or personal sign-off in an email. - A person is thoughtful and sends a gift to a child. Neither the said child nor the parents acknowledge, let alone thank the giver for the gift. - Inviting someone to dinner or a special event and then to have that person show up dressed as if they were going for dinner at a fast-food joint. - A sitting man who does not rise out of his chair when being introduced to someone or when a lady walks into the room. - A person who sits in the car and blows his horn repeatedly instead of getting out of the car and knocking on the door. - The person in front neglecting to hold the door open for the person behind her or him. What do the foregoing scenarios have in common? They are all examples of bad manners and no consideration for others. Bad manners can also be found in sacred places, like Church. - People talking in Church before Mass while some who are aware of Jesus' actual presence, are trying to pray. - People who eat or drink during the Mass. This is bad enough because we are to fast one hour before receiving Holy Communion, but to leave a mess in the Church afterward. - Young people texting and playing computer hand-held games during Mass. - This may or may not be considered bad manners...instead of silence prior to Mass or during the Holy Communion meditation time, music being played and parishioners forced to sing instead of spending quiet time in thanksgiving. Social graces are skills used to interact politely in social situations. They include manners, etiquette (the specific accepted rules within a culture for the application of universal manners), deportment and fashion. These skills were once taught to young women at a finishing school or charm school. The focus of social graces has changed over the last century, recently with an emphasis on business etiquette and international protocol. It seems sometimes that good manners or social graces are dying out. It may be that because of computers and the internet communication prevalent in our daily lives, many people feel there is no longer a need to be polite. If you are wondering why I am writing about the topic of good manners, social graces and civility, it is because I am currently reading an interesting little book entitled Town & Country Social Graces: Words of Wisdom on Civility in a Changing Society. Each chapter is giving me lots of food for thought. So far, I have read about privacy, or lack of privacy, accountability, playing fair, etiquette by email, rekindling the holiday spirit, being an American in a foreign country, on being a gentleman, on keeping the marriage alive and well, dressing for dinner, respecting our elders, saying Thank You, etc. and this is just at the beginning of the book. Each chapter deals with some aspect on how we treat others in our society or how others treat us. 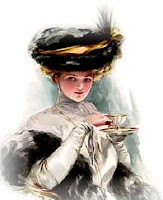 Can those of us who have good manners and are considerate change those who lack social graces? I do not know but it has to begin with each one of us to continue showing good manners even went tempted to say "The heck with it". It all boils down to what Jesus has been trying to teach us from the very start: "Love your neighbor as yourself". It is the reason, we are to die to ourselves. In a society where "I" comes first, we need to remember it is our brother or sister who comes first, "I" come last. 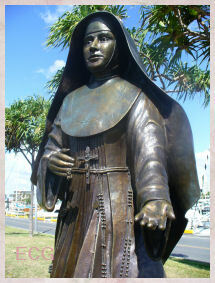 Her feast day used to be August 30th. Happy Birthday to my dear sister Rosa.